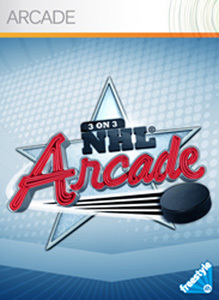 The Deal of the Week this time is NHL 3 on 3 Arcade. Gold Members of Xbox Live can get the for 400 points, saving 50% off the usual 800 point price tag. "EA SPORTS Freestyle™ welcomes you to the fast paced world of arcade hockey. From the same team that brought you NHL® 09 comes a 3 on 3 experience that throws conventional hockey, and its rules, out the window. Choose from the NHL’s top players and bring them into this no rules hockey game where big hits rule the day. The Trial Mode gives you a taste of the greatness that is 3 on 3 NHL® Arcade, to get a full bite, download the full version today. The full version offers 8 Powerups, Online Game modes, Leaderboards and Achievements."